Any subject, any style. For up to 3 characters. Monologues also accepted.The 6 best scripts will be shortlisted by our panel, to compete in a special competition on Monday 6th July at the 3 Swans. The Audience helps pick the winner. 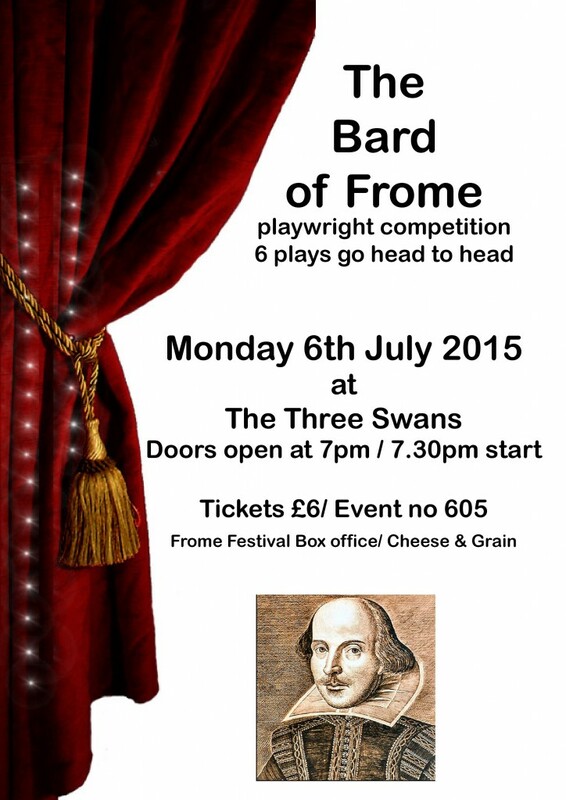 Prizes include – Cup, name on the shield and of course bragging rights to be called – the Bard of Frome 2015. Plus more.